"This was true mystical vision. This I could never have anticipated. But I knew that we were both on the same galactic journey into the great void that contains us all. I was standing before a boundlessness that could swallow the stars in a heartbeat." 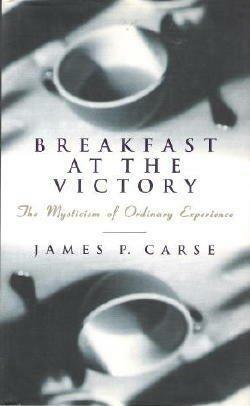 --from Breakfast at the VictoryJames P. Carse is the author of 'Breakfast at the Victory: The Mysticism of Ordinary Experience' with ISBN 9780062511706 and ISBN 006251170X.